"Wilfred learns a valuable lesson about the two-way street of friendship, sharing friends, and giving others space to do their own thing. A thoughtful and beautiful picture book for older readers by beloved author-illustrator Oliver Jeffers." - Seira Wilson, Amazon Editor. 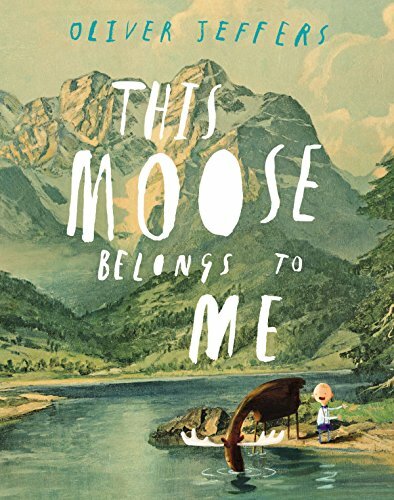 From the illustrator of the #1 smash hit The Day the Crayons Quit comes the age-old tale of a boy and his moose . . .
Oliver Jeffers, the bestselling creator of Stuck and The Incredible Book Eating Boy, delivers another deceptively simple book sure to make kids giggle. If you have any questions about this product by Jeffers, Oliver, contact us by completing and submitting the form below. If you are looking for a specif part number, please include it with your message.